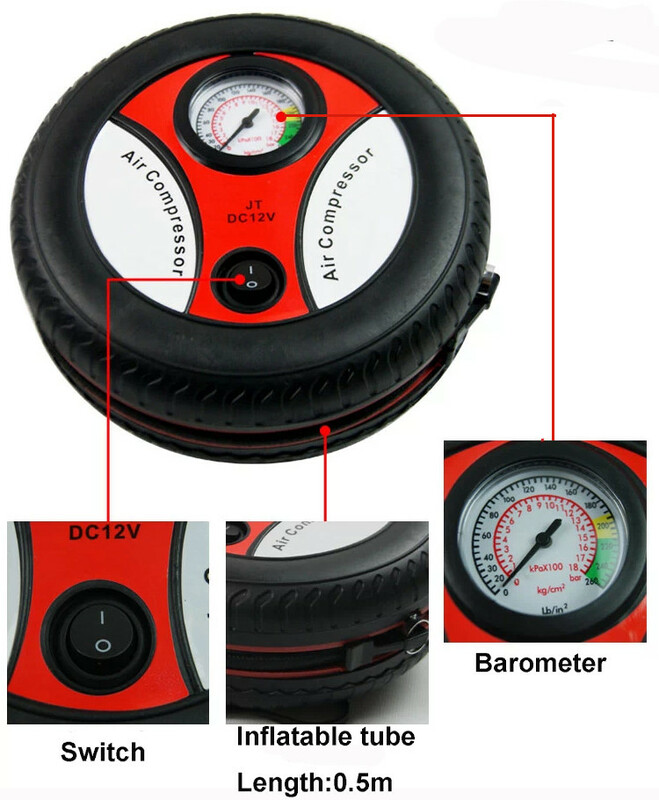 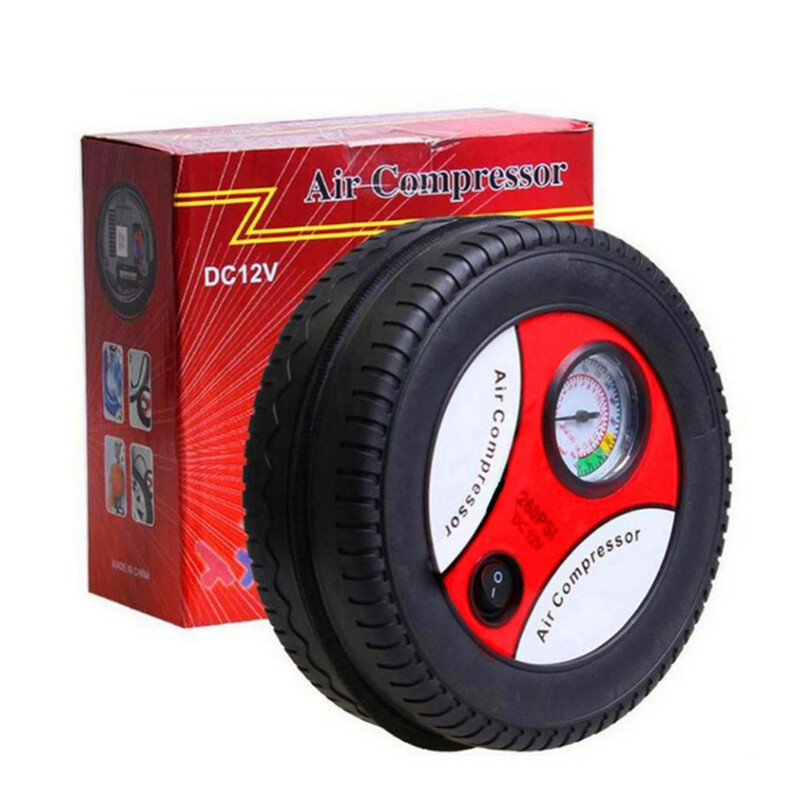 12V DC Heavy Duty Air Compressor. 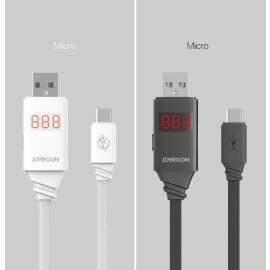 The 2.8m cord with cigarette lighter plug. 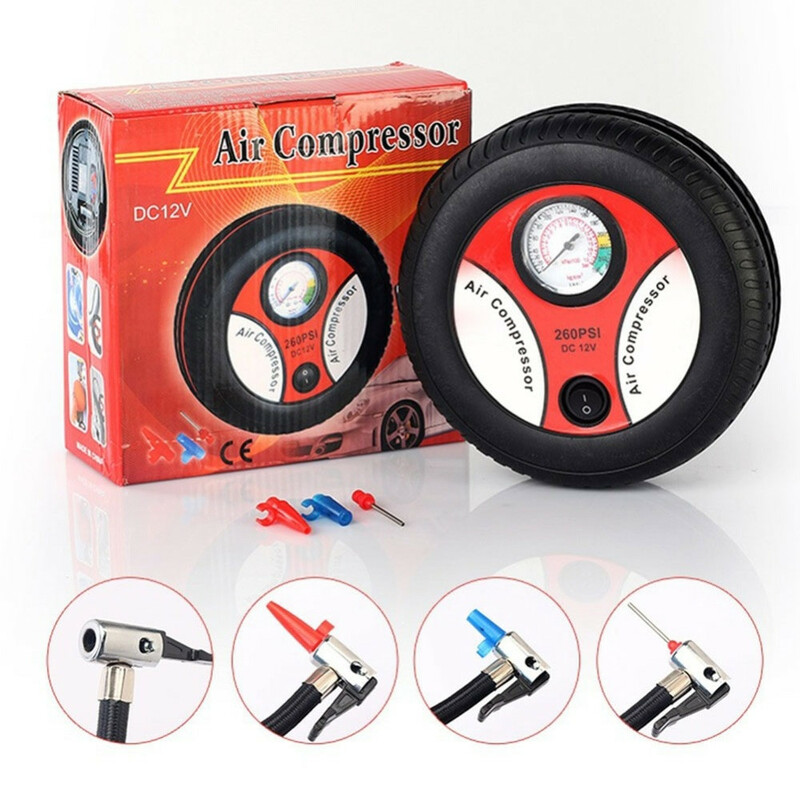 Comes with Analog Pressure Gauge. 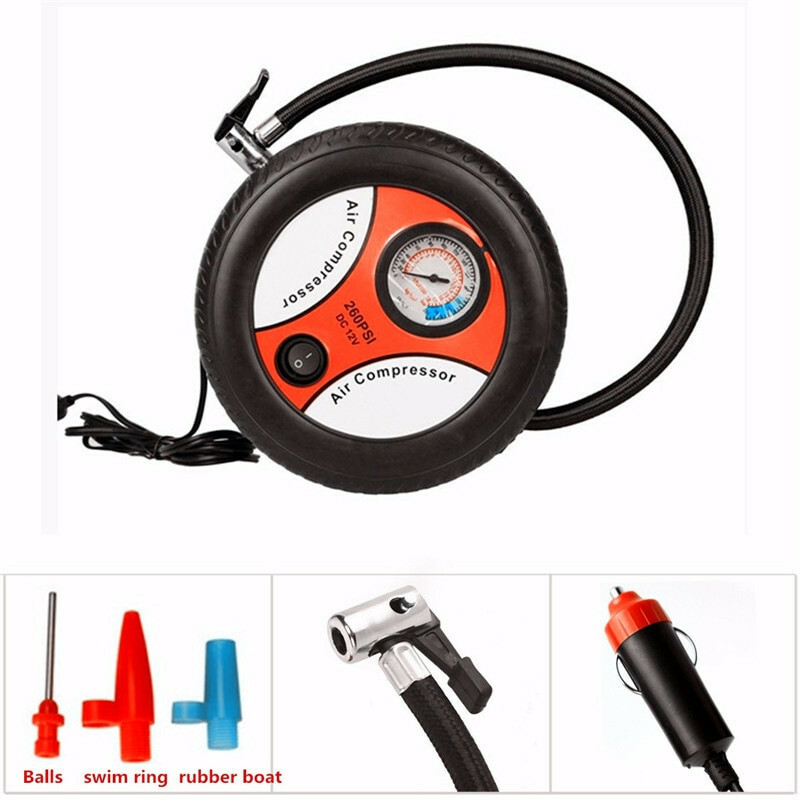 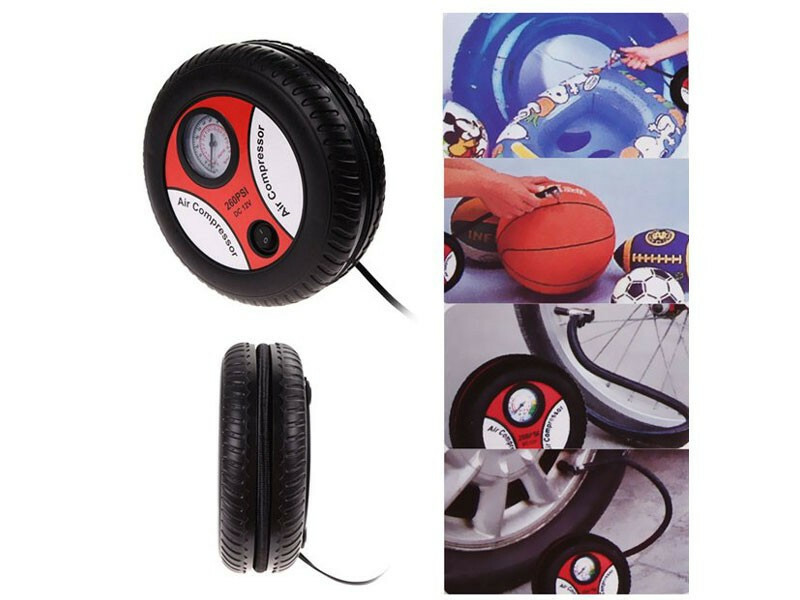 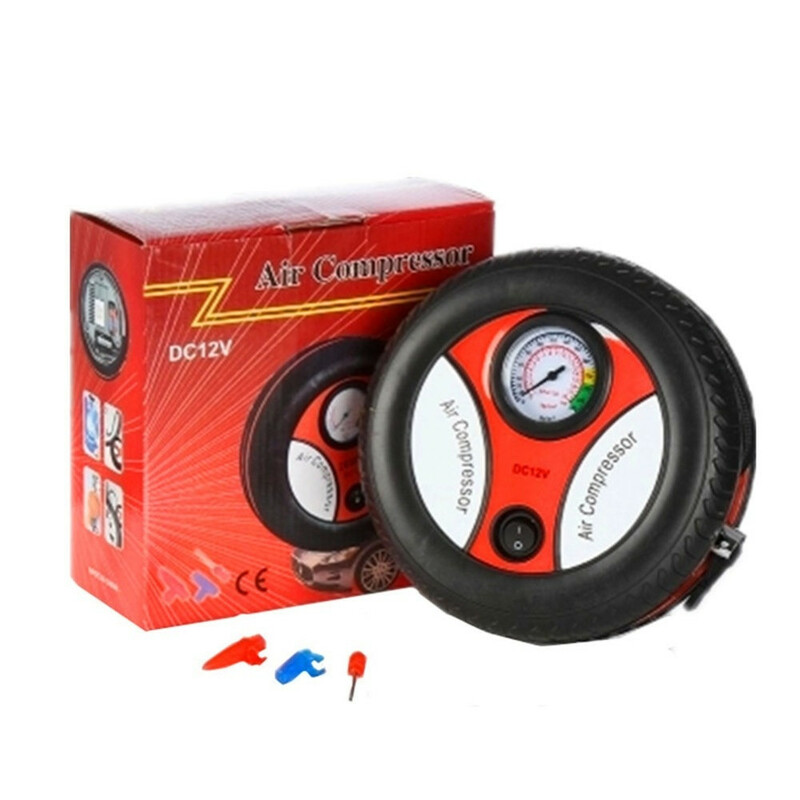 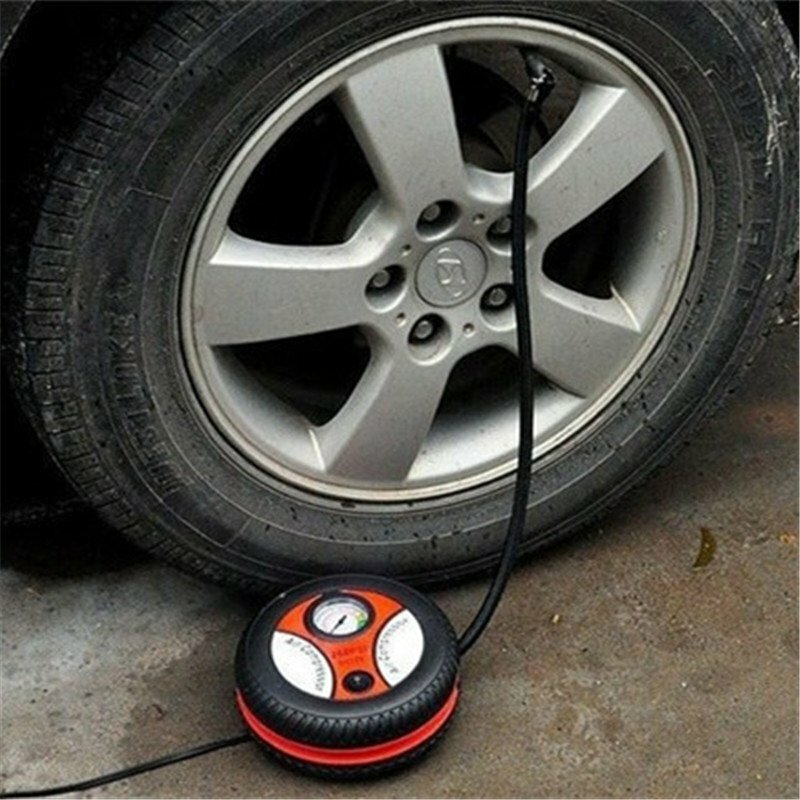 Inflates ordinary car tires in 5min (>30psi). 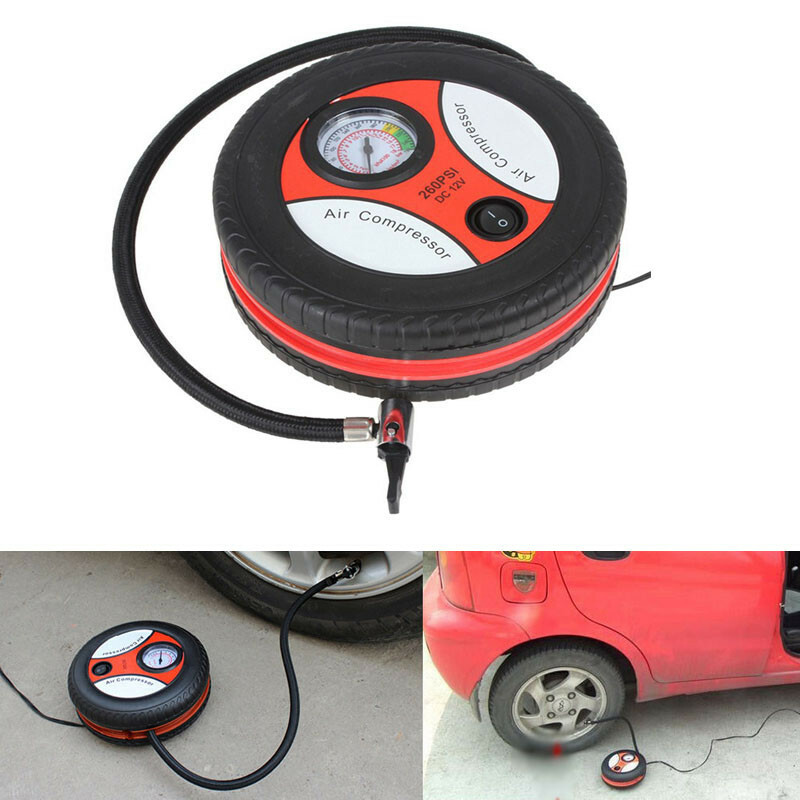 The traditional tire inflator is not efficient and it is heavy duty. 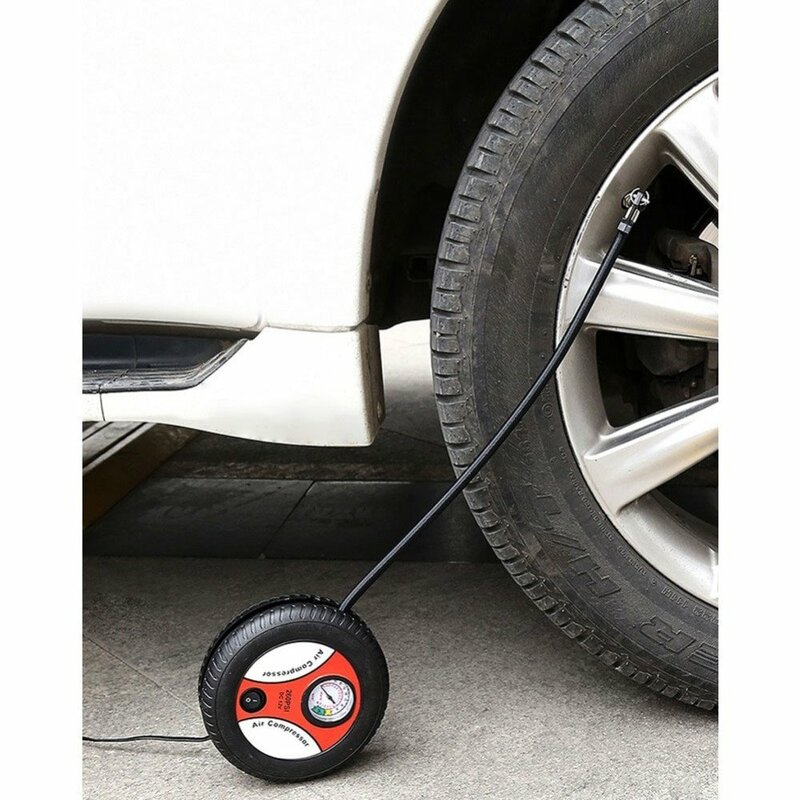 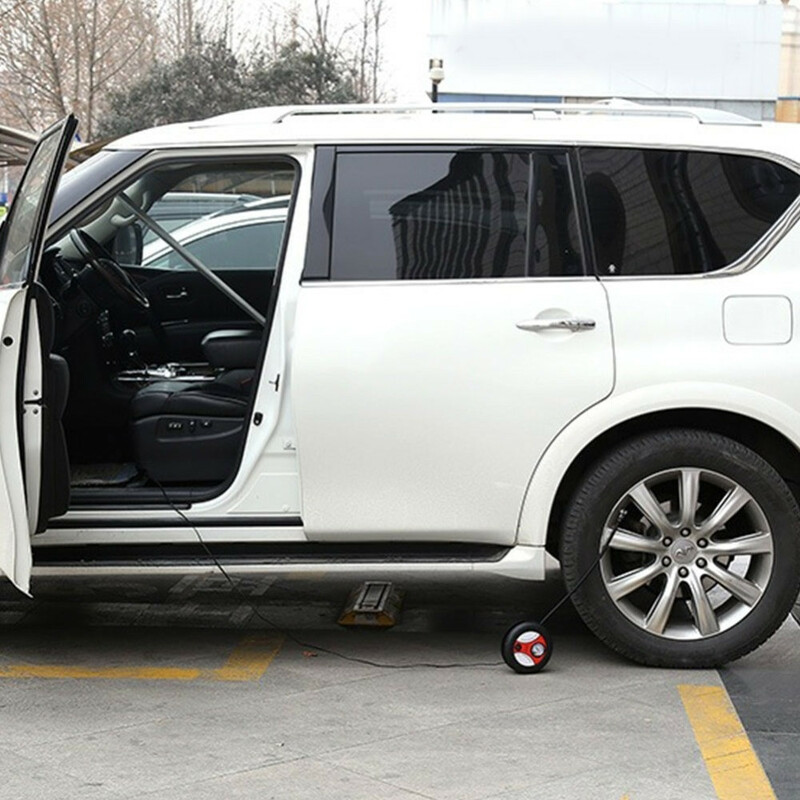 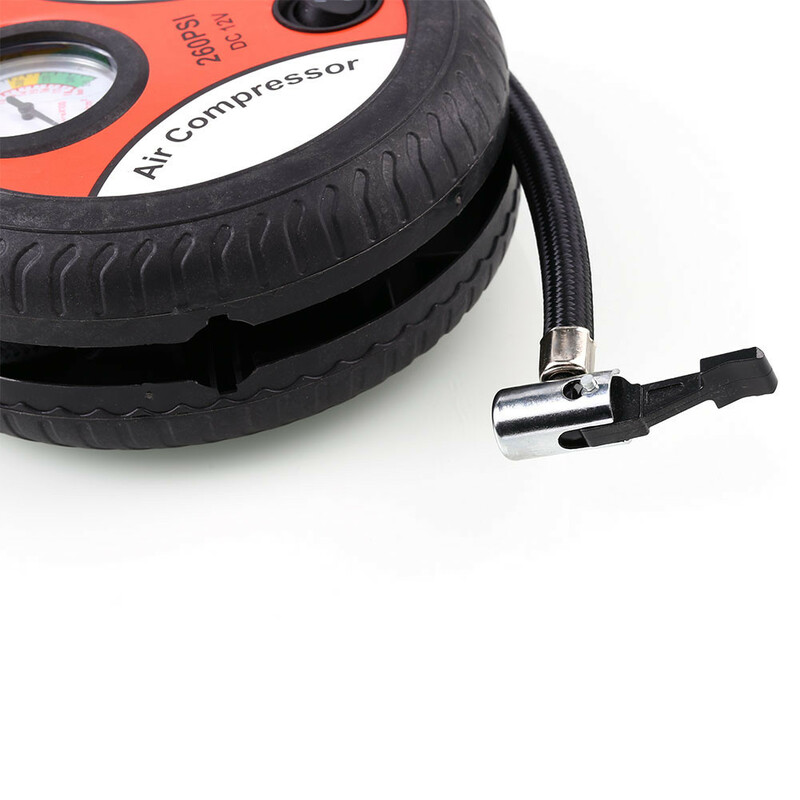 This electric tire pump can inflate tires quickly and safely. 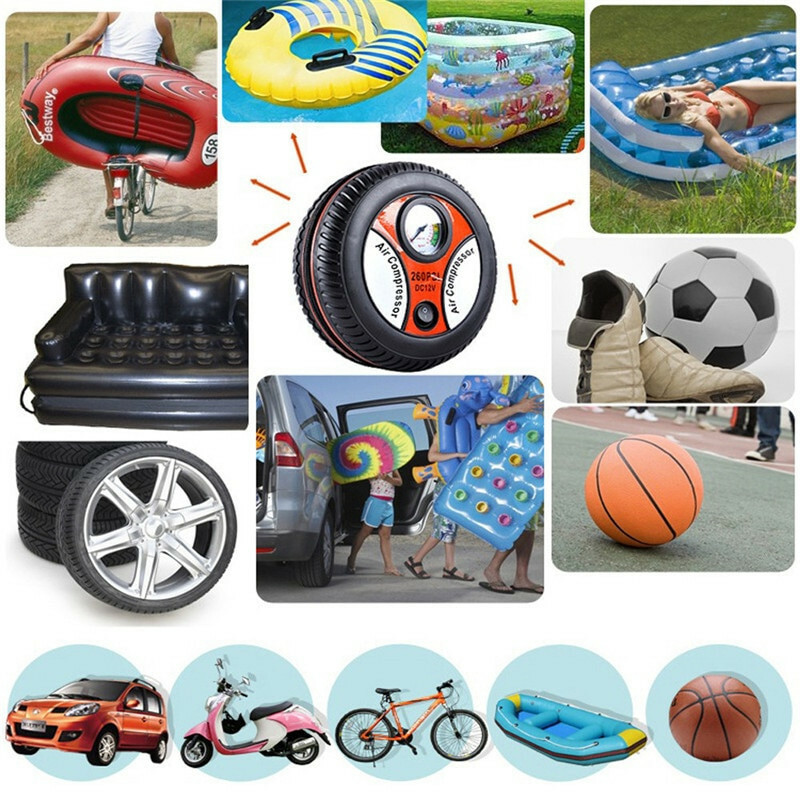 The visible scale helps you determine if you should continue to click or stop. 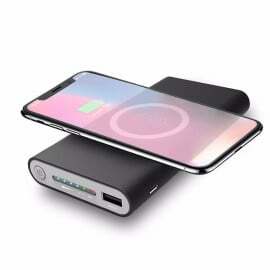 It is very small and light. 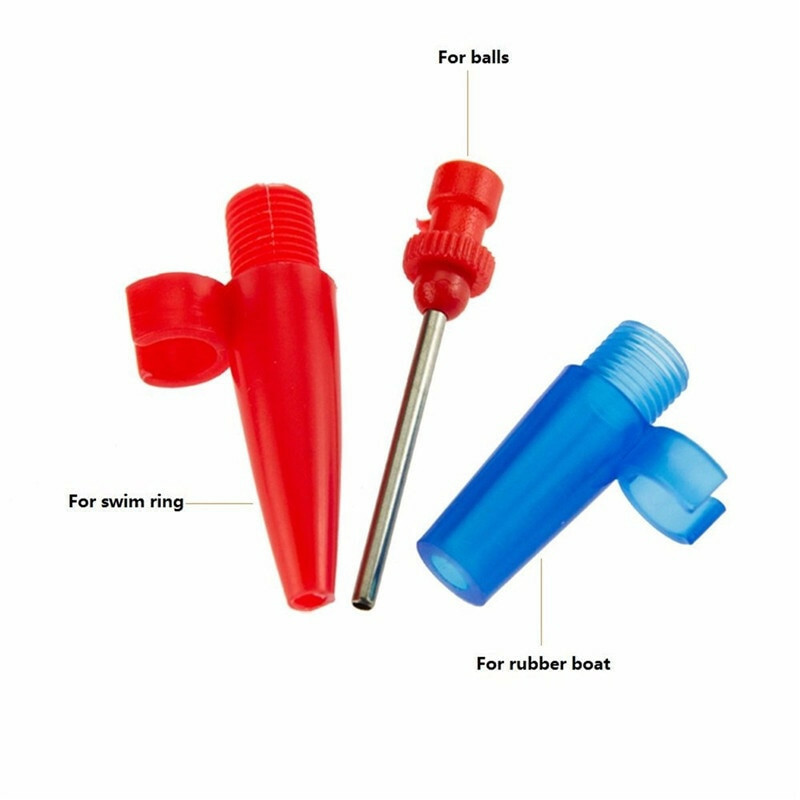 There is a groove prepared for the tube so that it can be embedded in the slot, which looks more orderly. 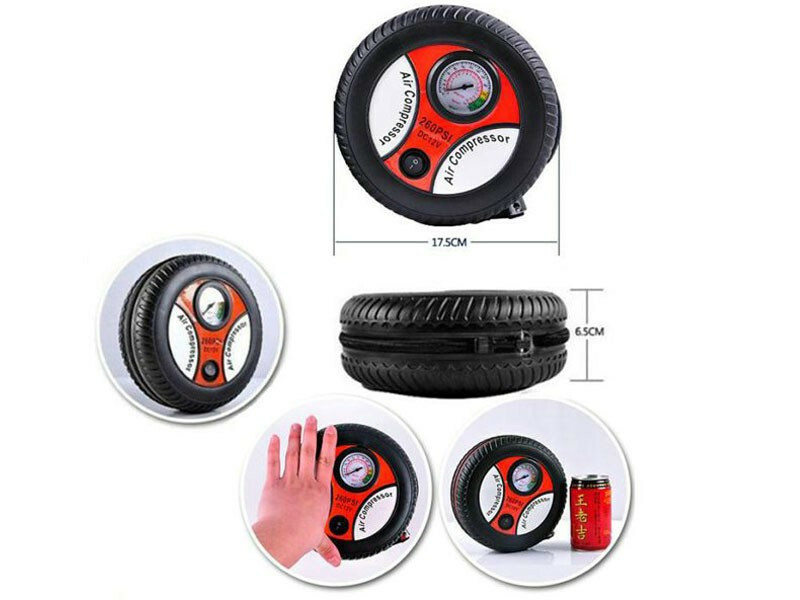 There is a visible scale to facilitate the knowledge of tire pressure. 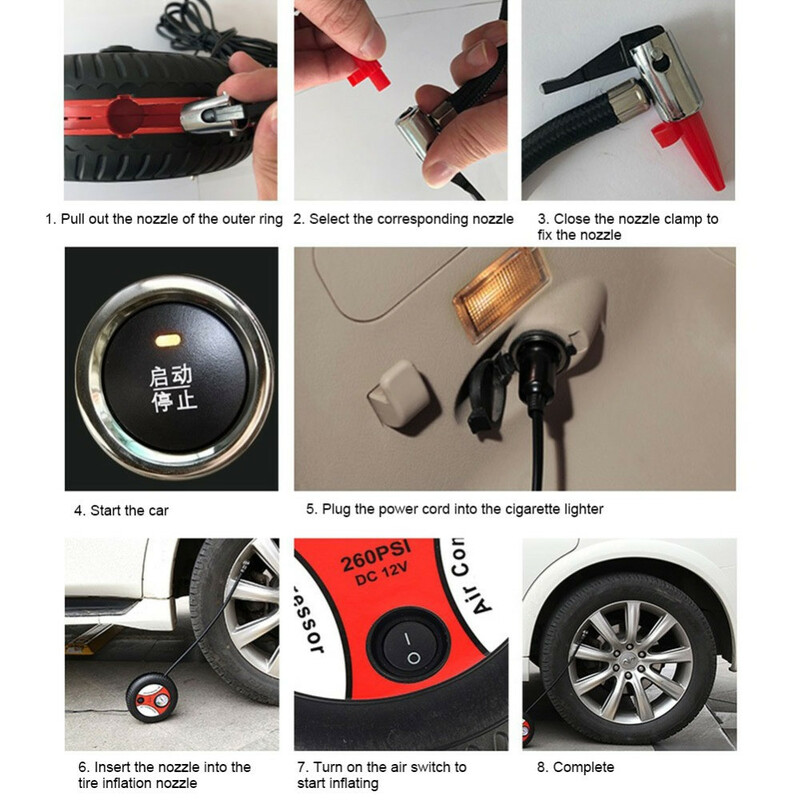 Plug the cable into the cigarette lighter socket to turn it on. 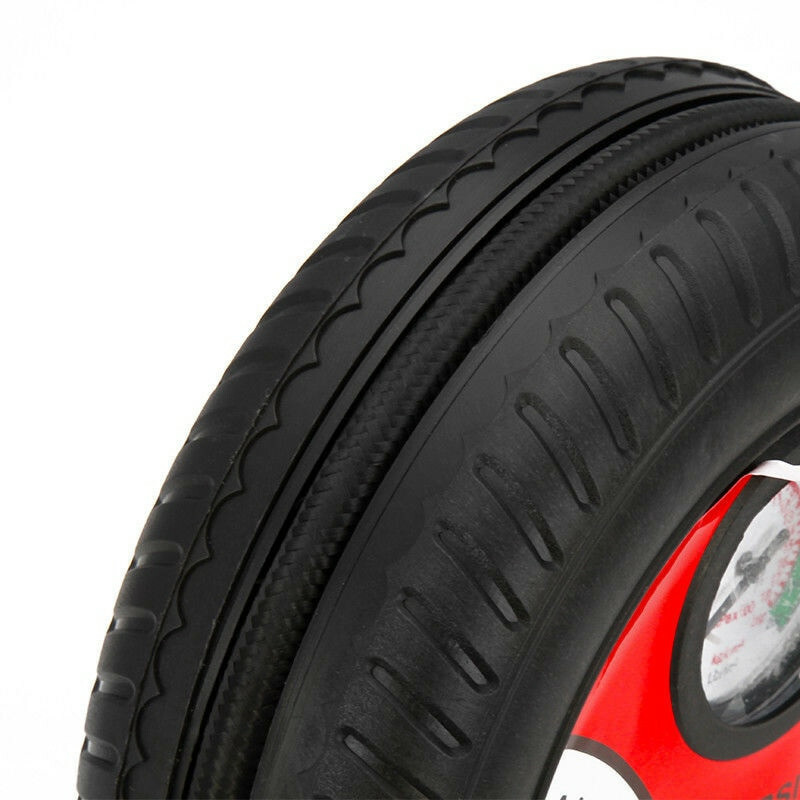 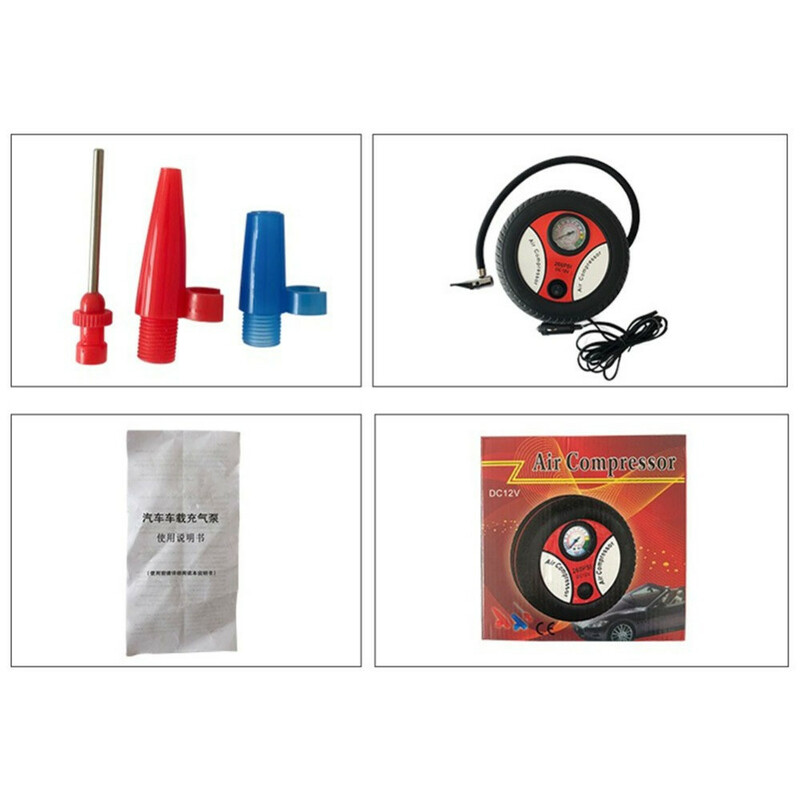 It is mainly used for flat car tires, not suitable for the trunk and other heavy vehicles. 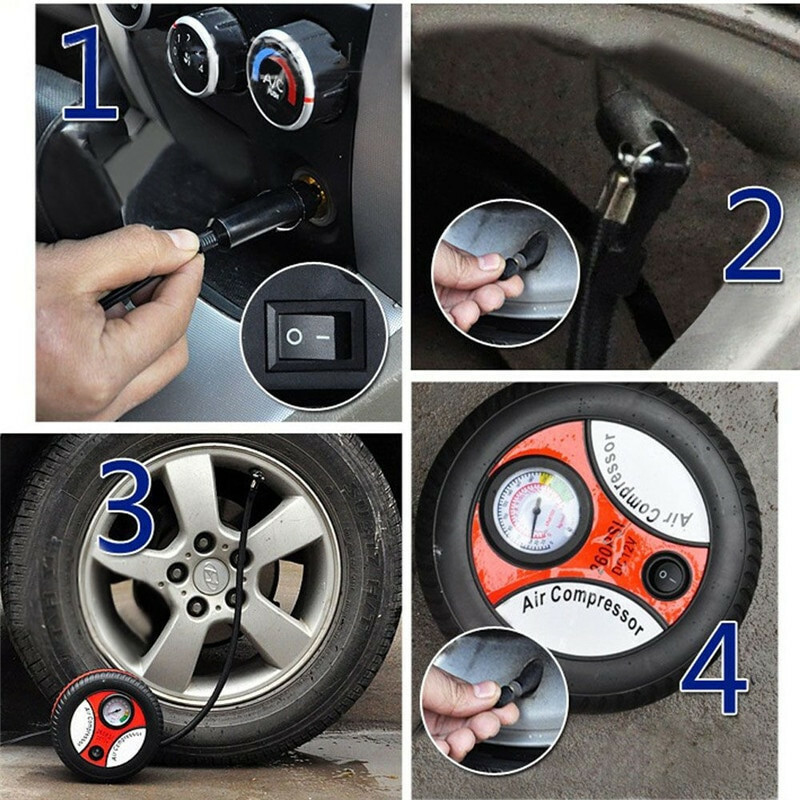 You must stop it by hand when you find that the tire pressure is reaching the standard pressure. 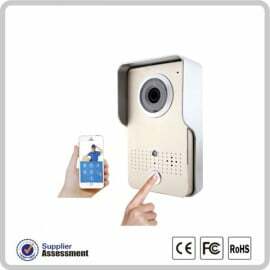 Small size and lovely appearance. 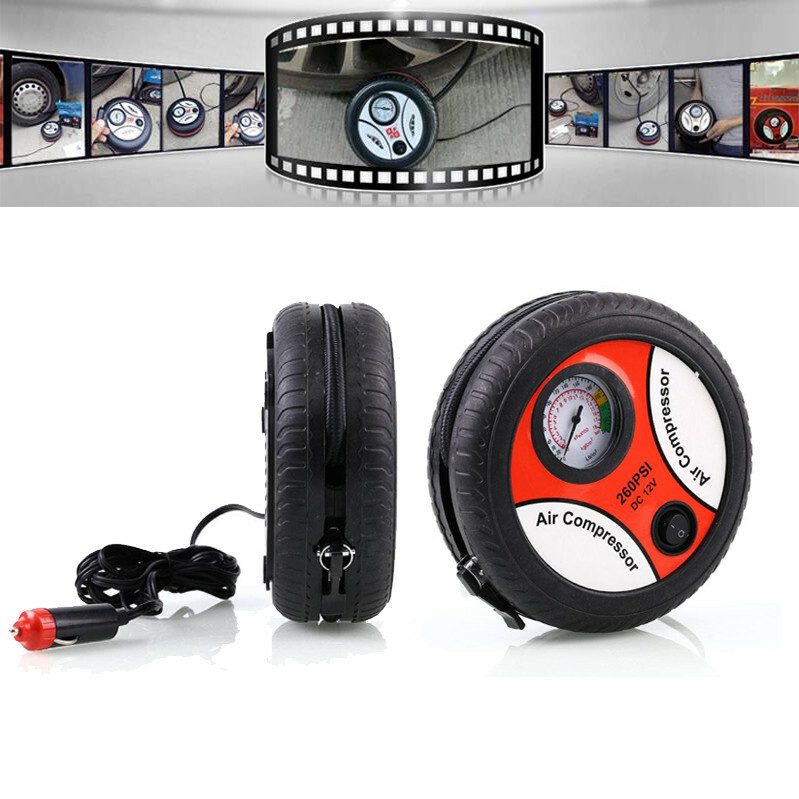 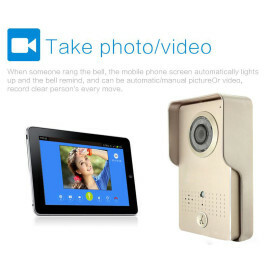 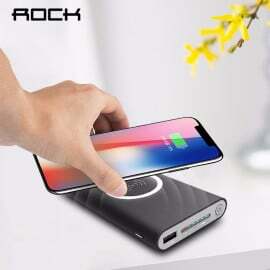 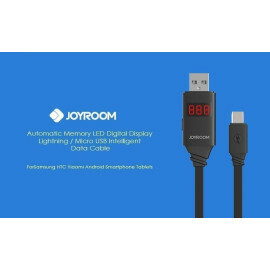 A good device for those who have a car.